A housing developer has today reassured buyers that a safety issue reported to have been discovered at a property in the South West ‘does not affect any homes in Gedling’. The article has since been circulated on social media by people in the borough worried about homes being built on the new development on Teal Close in Netherfield. 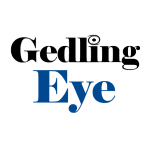 A number of readers contacted Gedling Eye directly to voice their concerns. We contacted Persimmon Homes yesterday and a spokesperson for the building firm said they were aware of an issue and they were working to resolve it. A Persimmon Homes spokesperson told us: “We are aware of an issue at a development in the South West and the regional management team have dealt directly with the affected customer. The issue does not affect any homes in Gedling.